Smashwords: Are Copyright Statements Copyrightable? Ironic. Has the Smashwords License Statement, a unique creation of yours truly, been pirated? Should a copyright statement have copyright protection? It's an interesting question. When we launched Smashwords two years ago and created the Smashwords Style Guide, we also created the Smashwords License Statement, the statement we recommend all authors insert into their copyright sections of their ebooks. Other than a couple minor word tweaks (suggested by eagle-eyed Smashwords authors), it has remained largely unchanged since we introduced it. The other day I noticed an upstart competitor appropriated (mis-appropriated?) the Smashwords license statement as their own by replacing Smashwords.com with their own web site. I've seen authors and publishers do the same. When we created it, it marked a departure from the traditional copyright statement found in most print books and early ebooks. I drew from my background in the software industry and my view that ebooks should be licensed similar to software. It also abandoned the then-common fire and brimstone warnings of steep monetary penalties for copyright infringement by instead taking a kinder, gentler approach to copyright enforcement. My view is that piracy is a bad thing, though the biggest threat to authors isn't the cloak and dagger pirate who hides out on underground torrent sites. The bigger threat (if it's truly a threat at all) is accidental piracy. It's your enthusiastic reader who loves your book, and because they love it they want to share it with their friends so they can love it too. Since book sales are driven by, and dependent upon, word of mouth, we want to encourage customer-driven promotion. The Smashwords license statement acts as a trojan horse. If customers accidentally (illegally) share a Smashwords book with their friends, their friends are gently reminded they have a moral (and implied, legal) obligation to support the author of that work. I have no intention of discouraging people from using our license statement. Consider it in the public domain. 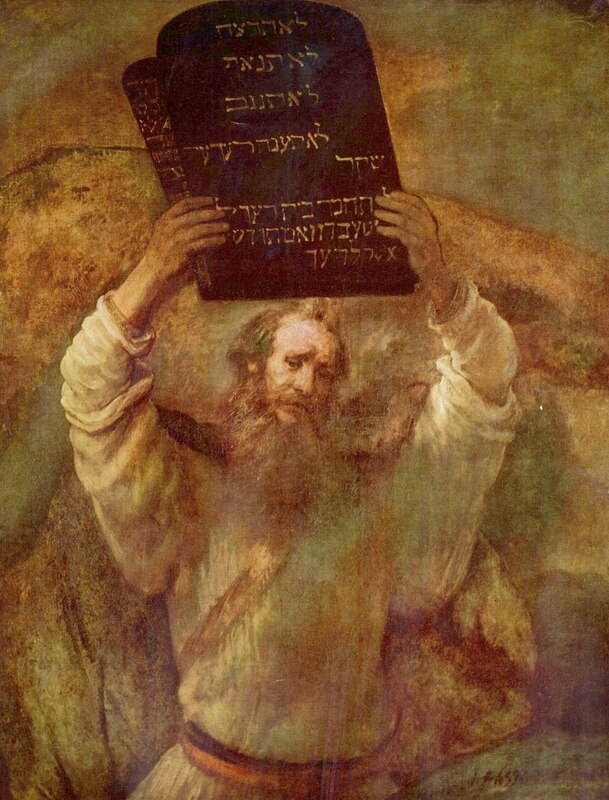 Image credit: Wikimedia Commons, showing Rembrandt's, "Moses mit den Gesetzestafeln," a.k.a. 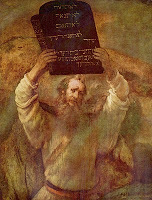 "Moses with the tablets of law." Interestingly, while we think of one of the ten commandments as "you shall not steal," according to this Wikipedia page it was originally intended to refer to slavery, and the stealing of people. Imitation is the sincerest form of flattery, Mark. I'd say you're being well flattered. To be legally technical,Mark,your statement is copyrighted. Any original work is legally copyrighted as soon as it's put into its completed form--whether it's published or not, whether it has a copyright notice or not, whether it's registered at the Copyright Office or not. The only thing the notice and registration do is shore up your case if you want to sue someone over it. Without those protections, the damages you could claim are slight. Since you say you're not going to sue, the matter's probably academic. But you do have some protection if you need it. I think it's really great that you've decided to take the high road, but it's telling that other companies have decided to openly plagiarize your work. Let me guess—vanity publishers? I don’t think it’s flattery… on the contrary, I think it’s douche-baggery. In France, Your copyright statements is copyrighted too, I don't think it could be used anywhere else, I would not think a minute to use it in another book edited on an another plate-form than Smashwords. Cher Mark, votre copyright selon la loi française (mars 1957) est protégé du seul fait de son existence, et nous sommes nombreux à pouvoir vous témoigner que vous nous avez encouragés à mettre ce copyright en tête de nos livres publiés chez vous. Personne n'a le droit de l'utiliser tel quel en changeant simplement le lien, sur un autre support d'édition que le vôtre, à savoir Smashwords. Cela prouve aussi que vous êtes leader parce que vous avez osé innover, les autres ne sont que de petits suiveurs. Vous, vous avez la classe ! Merci Gaelle. Je vous remercie pour votre sagesse et la perspective juridique français. Vous avez ainsi la classe! I'm sorry about this, I'm trying to test my commenting capability. I've been trying to use my OpenID account that I've got on my website, but it doesn't seem to work with Blogger. It does seem to carry much more weight than dire threats of lawsuits and reminders of Federal law in most cases. 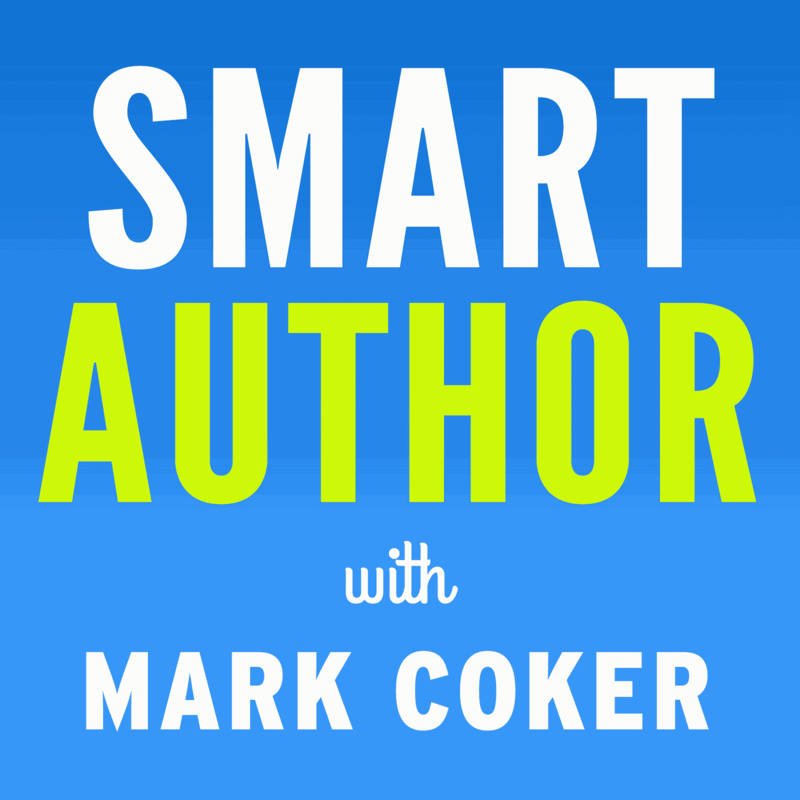 Thanks for you wonderful, helpful attitude toward authors, publishers, and now even your competitors. I just saw your name in connection with the self-publishing article in the WSJ. I knew you back in yuor days at BestCalls when i was at shareholder.com. I'm delighted to see you so actively involved in such a range of interesting activities. Maybe I'm jaded, but given the rising good name of Smashwords in all things ebook, it was inevitable that less original thinkers would try to crib your mojo! 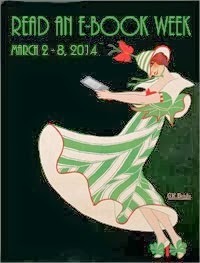 Thanks for all you do to inform and uplift this romantic endeavor that so many of us still quaintly think of as "book publishing." What is Smashwords policy on e-books being returned? I'm personally fed up with e-book distributors who don't leave this up to the publishers. Amazon gives 7 days for a Kindle book to be returned!! Incredible. It is my opinion that e-books should never be allowed to be returned unless there is a download issue. It is also my opinion that a distributor shouldn't be as bold as to tell a publisher otherwise. I'm still going through the FAQ to find how Smashwords addresses returns. FAQ: Are books returnable if I don't like them? No. All sales are final. This is why most authors allow you to sample much of their book for free so you can try before you buy. Allowing e-books to be returnable is insane, unless the book in question is unreadable or completely different from what was advertised. What's to stop somebody from reading or copying a book and then returning it when they're finished? Just to comment on the idea that anything published is copyrighted at the moment of publication. Yes, but that doesn't mean the copyright is enforceable. Mark's statement--which I applaud, by the way (see below)--that he considers what he wrote to be in the public domain would be the first defense of anyone accused of copyright infringement. In effect, you can't steal what someone said they were giving away free. I applaud Mark's decision to announce his copyright to be unenforceable because of the principle of the thing. He supports the rights of authors, so he writes something that authors/publishers can use. If he thinks it's effective BUT he won't let other people use it, then he's elevating the sanctity of his words over other peoples'. Which is perfectly reasonable, of course. It's just not the goal Mark's clearly espousing. Bravo, Mark. You've truly put your principle into words and into practice. You can use the license statement if you wish. It's up to you if you want to mention the source of the statement. It's not required. I hope you'll bring the book to Smashwords too! I'm glad to see this is open. I'll gladly use it and say where I got it from! I'll also bring my ebooks I write in the future to Smashwords - best e-book publisher I know (but it won't stop me from selling them on my company's future digital marketplace or at my blog). Closing the comments on this old post. It's getting daily comment spam from SEO scammers in India.